We don't think we'll ever get bored of seeing amazing projects that look a certain way from one angle, and then surprise you at every turn! And this home is exactly one of those. 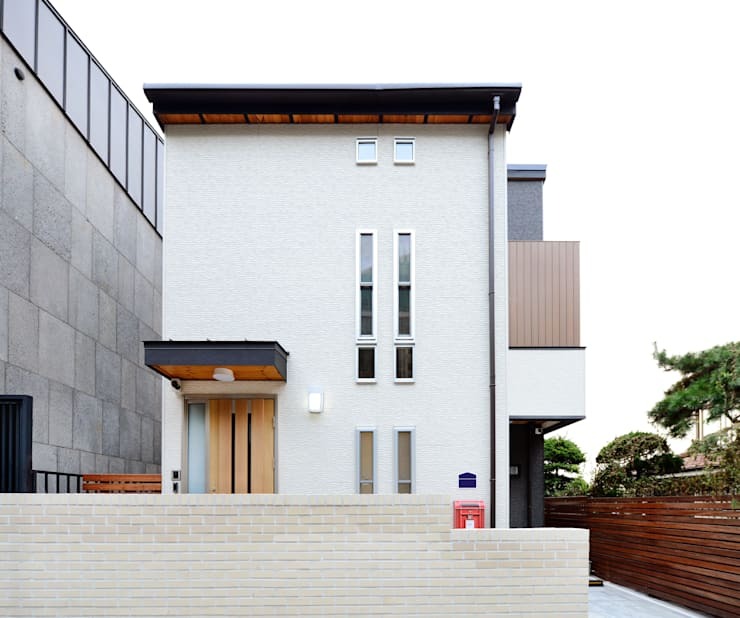 The architect that created this beautiful dwelling must have been determined to give a certain impression with the front façade, but then offer a really alternative interior scheme—and we love the result! Just wait until you see how spacious and open the inside is; we know you'll be blown away by it! 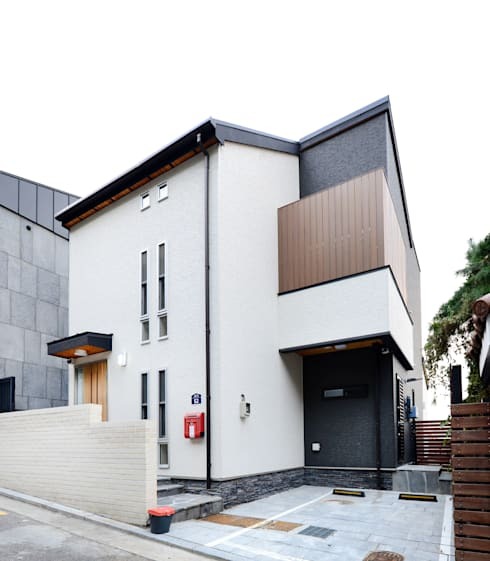 Doesn't this house look small and slim? You'd be totally forgiven for assuming that the inside is bijou and compact, but that couldn't be further from the truth! We love the modern styling here, which is bolstered by the choice of white render and wood accents. 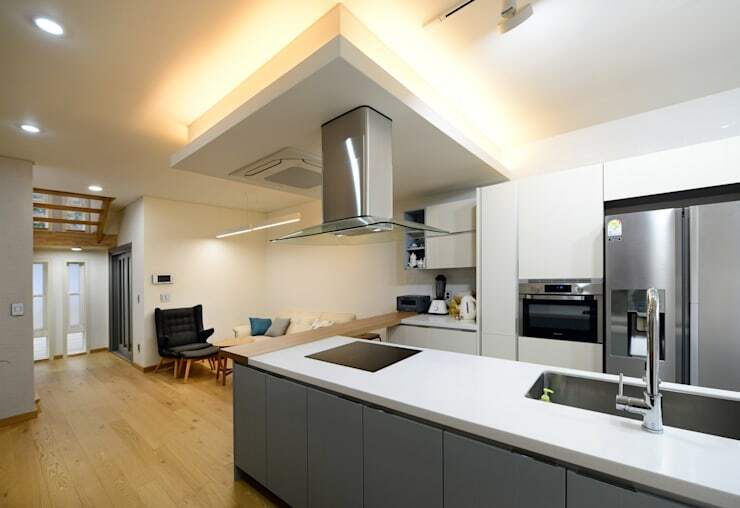 Move slightly to the side and you'll see just how much extra space this home actually has! By contrasting this side piece with black and dark wood finishes, it almost looks like a whole extra home and the visual impact is incredible! What a lovely addition! 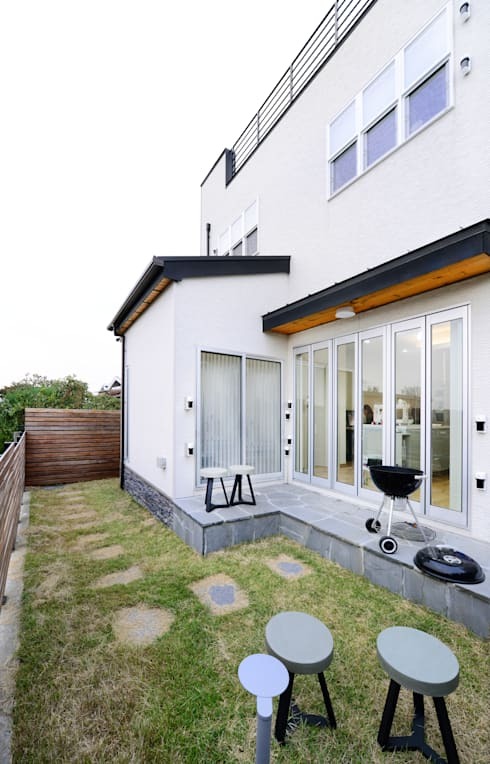 by adding a narrow terrace, there is a naturally sociable element to this garden and what a great location for storing a barbecue, for when the sun comes out! The wooden fencing here looks lovely as well and really ties in with the house accents. 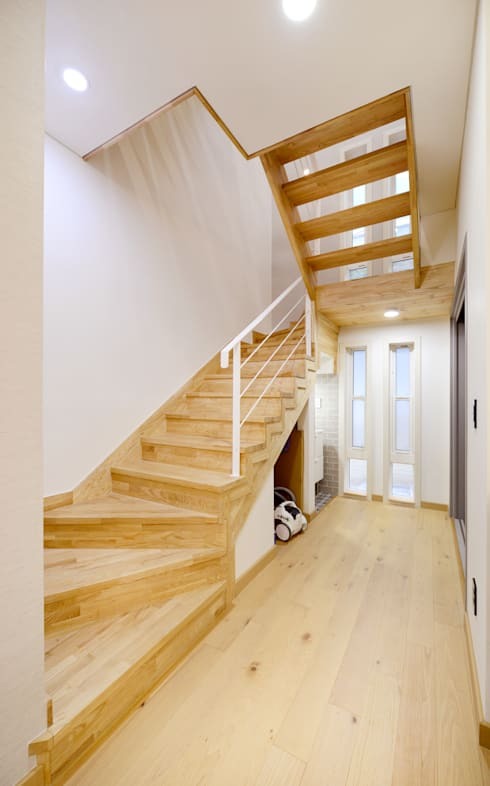 Walk through the front door of this fabulous family home and you are instantly enveloped by a wood and white hallway that feels spacious and fresh. The under-stairs storage is a touch of genius that any family will appreciate and by having so many windows in place, there is no risk of a gloomy entrance! This open-plan kitchen and sitting area is an absolute treat! A simple grey and white kitchen offers classic yet contemporary style and makes the transition form top cupboards to wall space so seamless. It must be lovely to be sat in the corner, talking to whoever is doing the cooking here! 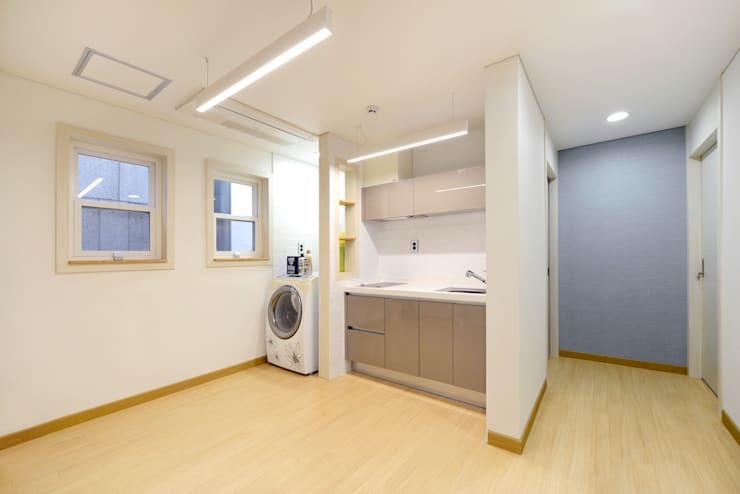 We bet that when you first took a look at the façade here, you never thought that there would be a spacious laundry room inside. We wouldn't have been able to predict that either, but what a fantastically practical use of the shockingly large interior! We could definitely use a utility room like this in our own homes! 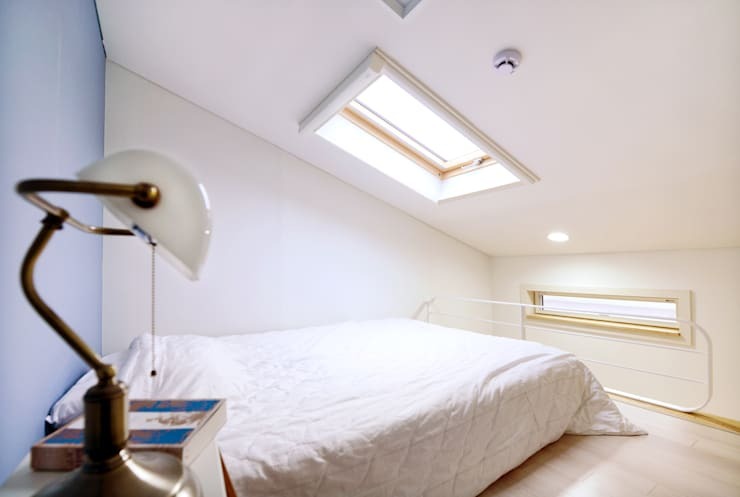 We find it fascinating that the master bedroom is up on the very top floor of this home, but when you see what an impact the skylights make, it does make sense! Not the largest room in the house, by far, there has been a deliberate and considered division of space, according to practical applications and we appreciate that no end. the all-white finish feels so restorative as well. How charming is this office? We told you that this home was full of surprises and by having not only a laundry room, but also a home office, we think we've really proved the point! 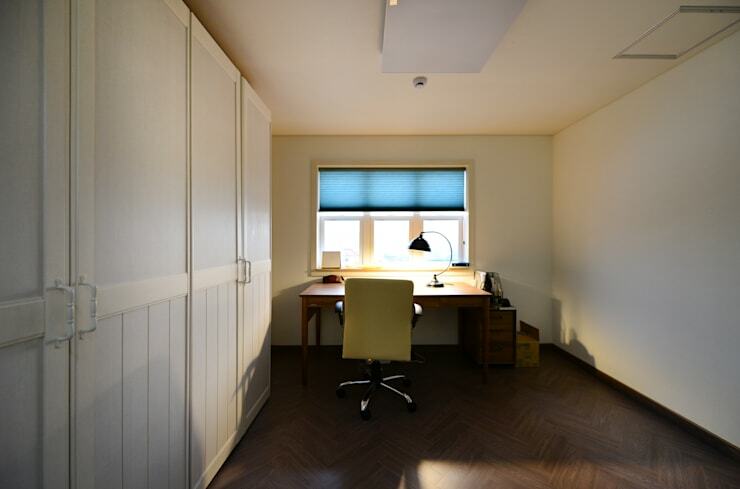 Unfussy, focussed and totally geared to productivity, especially in terms of placing the desk in front of a window, this is a wonderful space for anyone that wants to work form home. 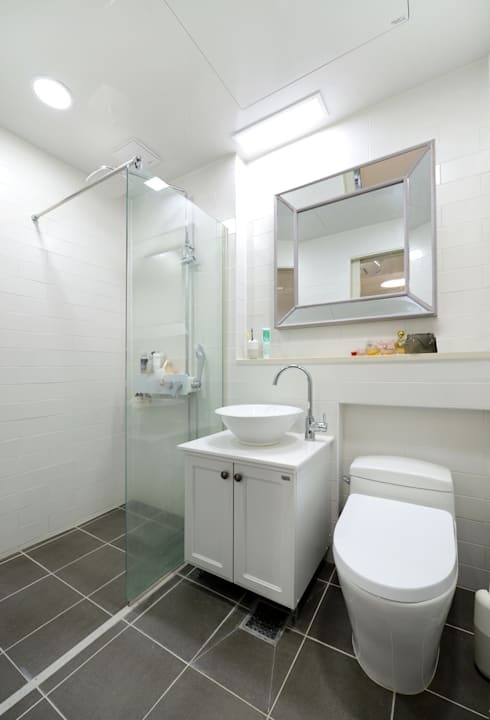 We think we could have predicted that the bathroom here would be simple, fresh and contemporary and we aren't disappointed at all. Cohesive with the wider styling throughout the home, this is a perfectly practical and understated room that does everything it should! For more modern home inspiration, take a look at this Ideabook: 9 amazing ideas for modern kitchens. Are you shocked by how much has been included in this home?